Experience the Arboretum first hand and fall in love. Come visit our living museum as a scientist! 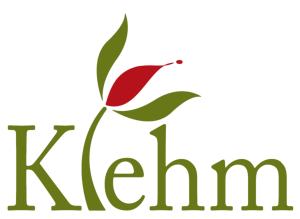 Get ready to find animals and plants in the waterways of Klehm. From water sampling activities to looking for plants and animals in the pond, kids will take on the role of the naturalist studying their environment. Touch it, smell it…let’s engage those senses! Our living museum is filled with textures, sounds, and smells. Let our activities guide you through the arboretum and into a sense of wonder for our natural world. From the plants to the animals…large and small, we are all interconnected. Students will dig into the ecological connections between plants and animals, grasses and trees. With inquiry-driven exploration, students will enjoy making discoveries and drawing conclusions about the circle of life. You might not guess which plants shared the Earth with dinosaurs, and which plants are newly evolved species by just looking. Students will pull out clues and make comparisons to learn about the prehistoric plants at Klehm and the new and evolving plants of today. The new “Journey Into the Field” experiences focus on students as active citizen scientists taking on the inquiry driven role of a scientist in the field. Activities, materials and central questions for each component of the experience are focused on the fauna and flora of Klehm, focused on students asking and answering critical age-appropriate questions, and focused on collecting data, developing models and many of the other scientific and engineering practices with leverage for application.